With the blessings of Shree Sharada Peetaadhishwara Jagadguru Shree Shree Bharathi Theertha Mahaswamy, it was ordained to construct a Sabha Bhavana for the devotees of Belaguru to stay. As you know, Belaguru is a small and tiny village roughly 200 Kms away from Bangalore. Devotees from all over the State and also from different States of India visit Belaguru. So, Sadguru Shree Bindu Madhava Sharma Guruji decided to build a Sabha Bhavana with all facilities including attached toilets, so that the devotees visiting the Temple will have a comfortable stay in Belaguru. Accordingly, a magnificent structure has been designed with a big prayer hall in Ground floor and upper three floors having more than 40 full fledge furnished rooms. Contributions / donations are invited from all devotees for completing the same. Thousands of devotees visit Belaguru every day. On weekends and Hunnime (Pournami or full moon day) and on special days like festivals, public holidays the numbers visiting Belaguru will even cross few thousands. Belaguru is a small village and there is no facility for good food. 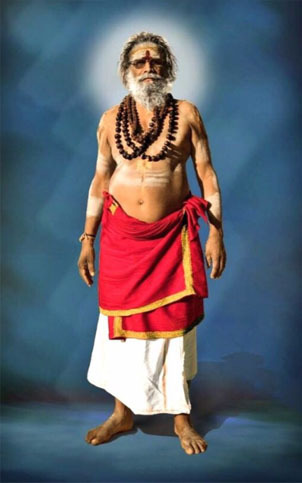 Hence Sadguru Shree Bindu Madhava Sharma decided to start “SHASHWATHA ANNA DAASOHA” at Shri Kshetra. In Belaguru “ON ALL DAYS” i.e. 365 days of the year, Sadhguru has made arrangement for Breakfast, Lunch and Dinner. Sumptuous meal (Prasadam) will be served for all devotees at any time of the day or night. As this is very noble cause and requires continuous funding, you are requested for your generous support for this cause.